We were recently introduced to Susan K. Marlow's character, Andi Carter, in the book, Andi's Indian Summer (illustrated by Leslie Gammelgaard). Andi's friend Riley shows her a scary old dime novel that sets Andi's mind spinning with thoughts of being captured by Indians. But when she and Riley ride a little too far from the safety of the ranch, Andi discovers the truth about the natives living nearby. You'll want to own the whole set! The targeted audience for this Christian fiction series is 6-8 year olds. My 8 year old son read it on his own and really enjoyed it. After he'd raced through it, I read the book out loud to my 4 and 6 year old daughters. The chapters were a perfect length to read before bedtime. And they had enough suspense and adventure to keep them begging for more each night! 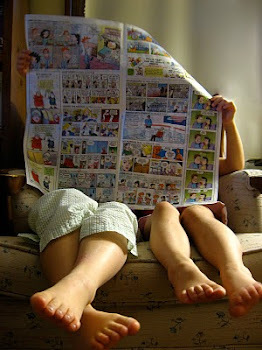 They were both mesmerized by the story from start to finish. Historical Notes about the time period written directly to the child so they can understand more about the time in which Andi lived. I highly recommend this wholesome series. The free resources from the publisher make this series extra special. 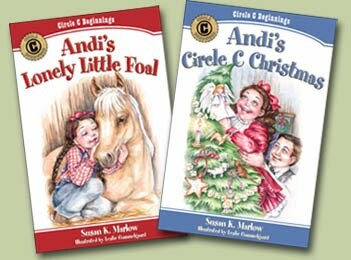 After finishing the Beginnings series, I know my girls will enjoy the continuation of Andi's story in the Circle C Adventures. To learn what other families thought of this series, visit the TOS Homeschool Crew Blog. Books can be purchased directly from the publisher here. Homeschoolers can save 30% on orders placed between now and August 31, 2011 (upcoming books can be pre-ordered and will ship when they become available). To view all of Kregel's resources for kids, browse through their Children's Catalog for other wholesome reading selections for your family. You may also be interested in Kregel Academic & Ministry resources. And Kregel also publishes Spanish resources. 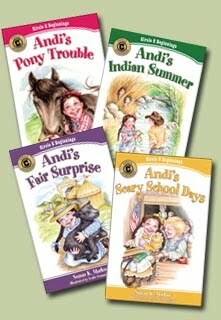 Disclaimer: We received a free copy of Andi's Indian Summer from Kregel Publications for the purpose of reviewing. No other compensation was received. Susan, so nice to "meet" you! I hopped over to your blog and saw the adorable pictures of your granddaughter--the illustrator beautifully captured her likeness. Blessings to you!